We come to you. Collection & Delivery (otherwise known as "C&D" to DKC insiders ) in Dubai, across the United Arab Emirates, or even beyond. 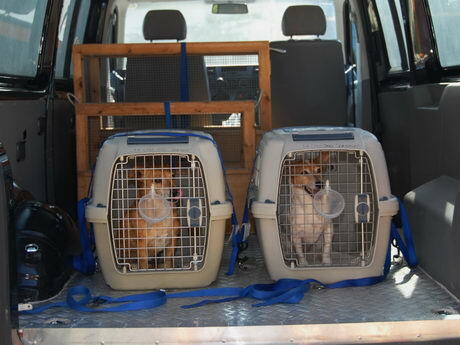 We come to you in specially fitted, secure and safe, air-conditioned animal transport vehicles, as you would expect. And we don't send "drivers". In fact, we don't even employ "drivers" for any of our animal handling. 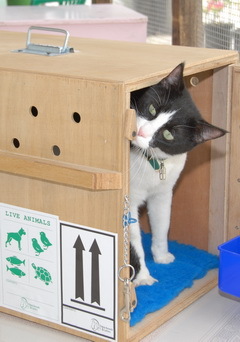 We have trained Animal Handlers and that's who will come to you. 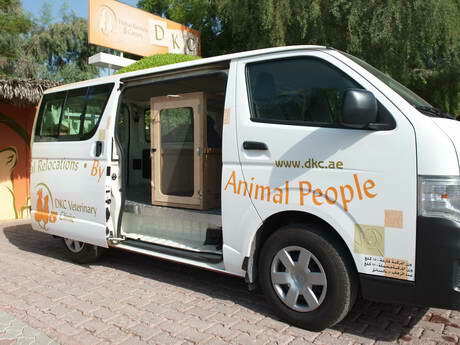 This means that the same Animal Handlers who care for your pet when he or she is boarding or relocating with us, and who work with you in our reception and on the phones, at DKC and DKCVET day in and day out, are also the ones coming to your home. 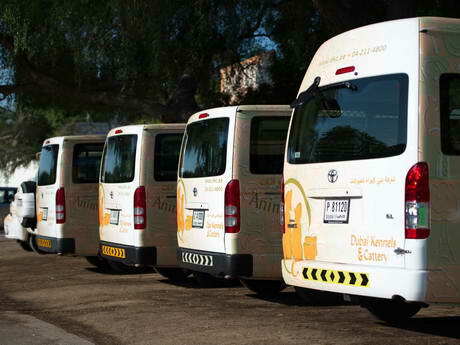 For C&D within Dubai, we operate Sunday-Thursday from mid-morning to mid-afternoon. 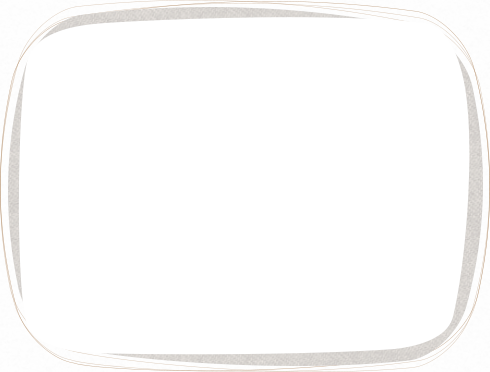 To set up a schedule for other locations and for all pricing, just get in touch. Now please, do not worry at all if you see a snout sticking out one of our front passenger windows ~ that's our advanced navigation system! Do you offer a Collection & Delivery service for doggity-dog daycare?